The first out of two EU-Japan Projects has been „kicked off" at Tokyo University, July 11-13, 2016 with the presence of the ministry of internal affairs and communications (MIC). 5G!Pagoda represents the next evolution step in softwarized networks as supported by NFV, SDN and aimed at by the 5G network evolution. The top objectives of 5G!Pagoda are the development of a scalable 5G slicing architecture towards supporting specialized network slices composed on multi-vendor network functions, through the development of a scalable network slice management and orchestration framework for distributed, edge dominated network infrastructures, and convergent software functionality for lightweight control plane and data plane programmability and their integration, customization, composition and run-time management towards different markets in Europe and Japan. 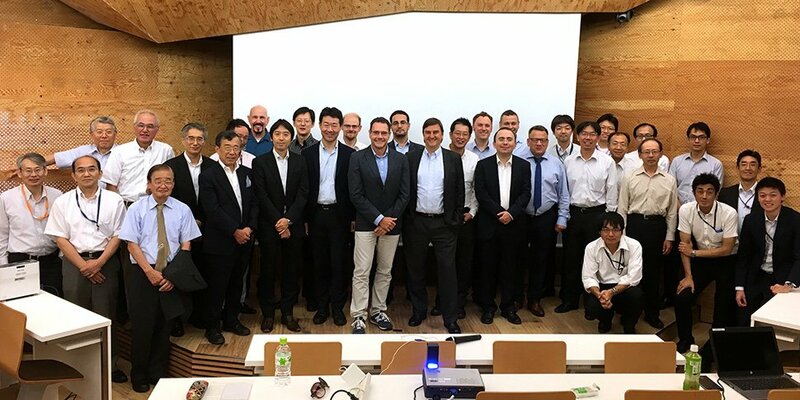 The SDN-based FOKUS 5G Playground will be used as the major validation testbed in Europe to be connected to the Nakao Lab in Tokyo.